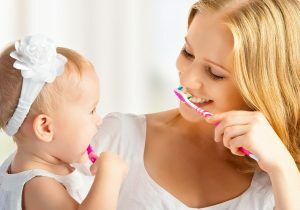 If you know how important it is to practice good hygiene, you most likely brush your teeth at least twice a day. However, you could be inadvertently harming your teeth if you aren’t keeping your toothbrush as clean as it could be. Many people leave their brushes exposed to harmful bacteria, which may have a negative effect on their teeth and overall health every time they use their toothbrush. In order to ensure that you are getting all of the benefits of brushing your teeth and none of the negative effects, make sure to follow these steps in order to keep your toothbrush clean. The best way to prevent excessive bacteria growth is to store your brush properly between uses. It should be placed with the bristles up in an open-air environment, so that they can dry out completely. This reduces the chances of harboring any bacteria, which are known to survive and breed in moist areas. Your brush shouldn’t be touching any other toothbrushes, and you should never leave it in a warm, closed area unless you need it for travel. Because it is important to let your brush dry out between uses, it may be beneficial to have multiple toothbrushes at any given time. If you brush your teeth in the morning, the brush may not be completely dry by nighttime. In this case, you can have a designated nighttime toothbrush that will be dry for you by bedtime. By the time you wake up, you can use your other brush for your morning session. If you don’t want to use multiple brushes or leave your toothbrush in the open air, you can use hydrogen peroxide overnight to clean the bristles. Simply put a little bit in a small glass and store your toothbrush with the bristles down in the peroxide. Despite the fact that hydrogen peroxide is moist, it has enough oxygen to kill many of the bad bacteria that are harmful to your mouth. If you have a window with plenty of access to your sun, it can be beneficial to leave your toothbrush there while it dries out. Sunlight will help it to dry out faster than if it is just sitting in the bathroom, and it even has natural disinfecting properties that will make your toothbrush even safer to use. As we mentioned, it is best to let your toothbrush dry out in the open air. If you store it in a closed container, the moisture will sit, inviting more and more bacteria. If you must use a container for travel or some other reason, you should clean it regularly and even use peroxide in it when you are storing your toothbrush. If you are traveling, take your brush out of the container once you have reached your hotel room and let it sit out in the air. Doing so will help to ensure that fewer bacteria are able to breed on your toothbrush. 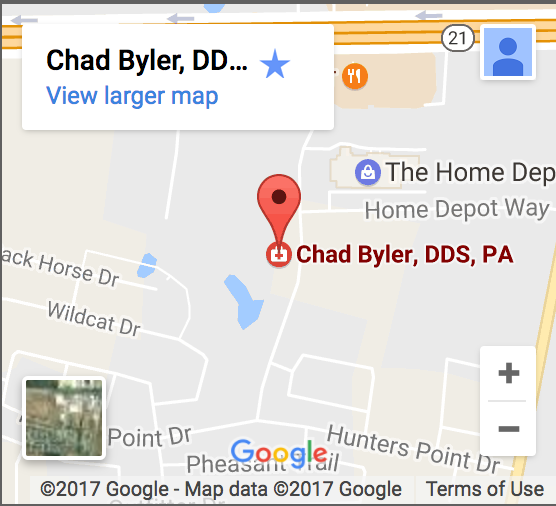 To ensure that your teeth are getting a proper cleaning, be sure to schedule an appointment with Chad Byler, D.D.S. today! We are happy to discuss proper oral hygiene with you, as well as make sure that you leave our practice with your teeth in great shape.